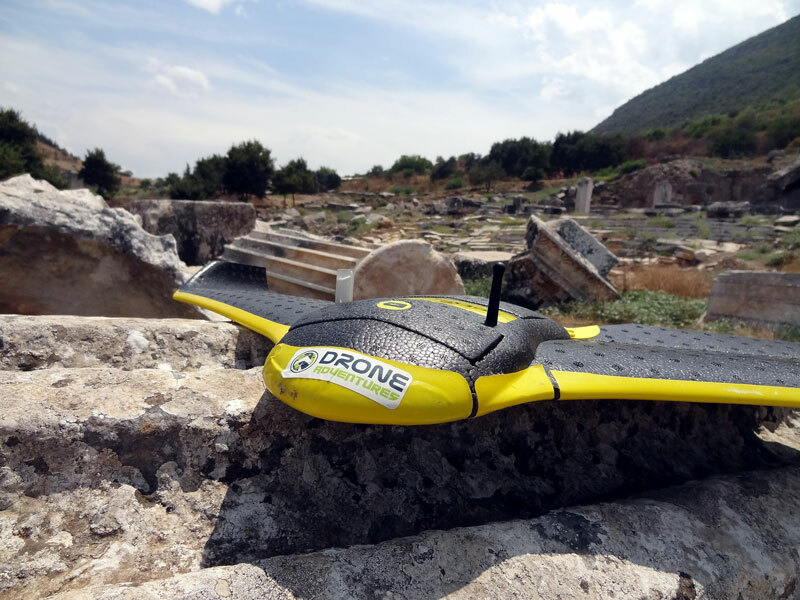 It isn’t every day that we get to fly drones over one of the Seven Wonders of the Ancient World. Thanks to our intrepid partners and hosts, the Institute of Fine Arts at New York University (NYU) and the Austrian Archaeological Institute, we’ve just returned from an amazing week in Southern Turkey where we flew over ancient theatres and temples dating as far back as the 10th Century BC. We’ll be publishing a longer, more detailed blog post once we’ve had the chance to analyze all the imagery. In the meantime, we’re excited to share a quick overview of the project. Setting up Ground Control Points (GCPs) to improve the precision of the imagery. In the background, one of the Seven Wonders of the Ancient World: The Temple of Artemis in Ephesus, Turkey. Have a look at the photo gallery below to get a sense of the terrain and structures we surveyed with Ben, Andrew and team. While you may not be able to tell from these pictures, it was hot, very hot! Which is another reason why Ben and Andrew would rather have the UAVs take on the Turkish sun than themselves. 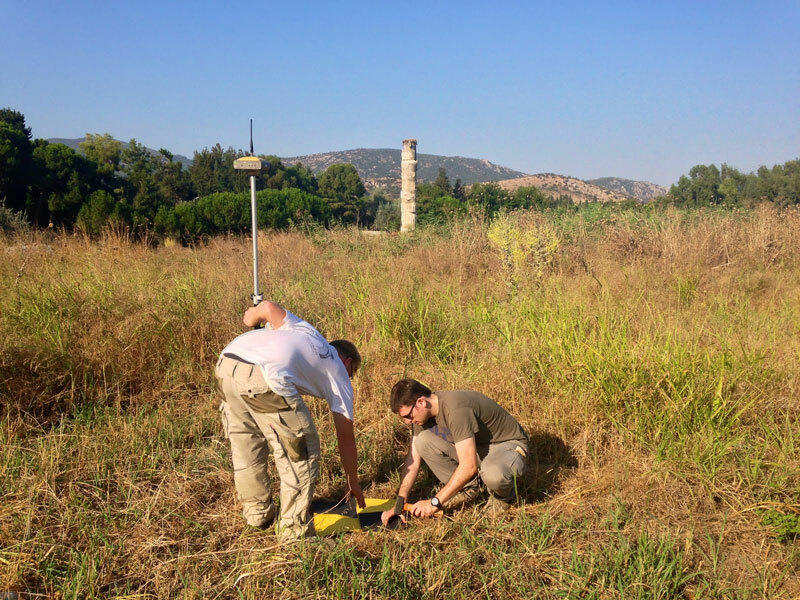 Stay tuned for our follow-up post which will include detailed 3D models, high-resolution images and more videos of our “Airchaeology” Expedition in Southern Turkey. For now, we leave you with the two aerial images below as teasers along with these tweets/pics from the field. 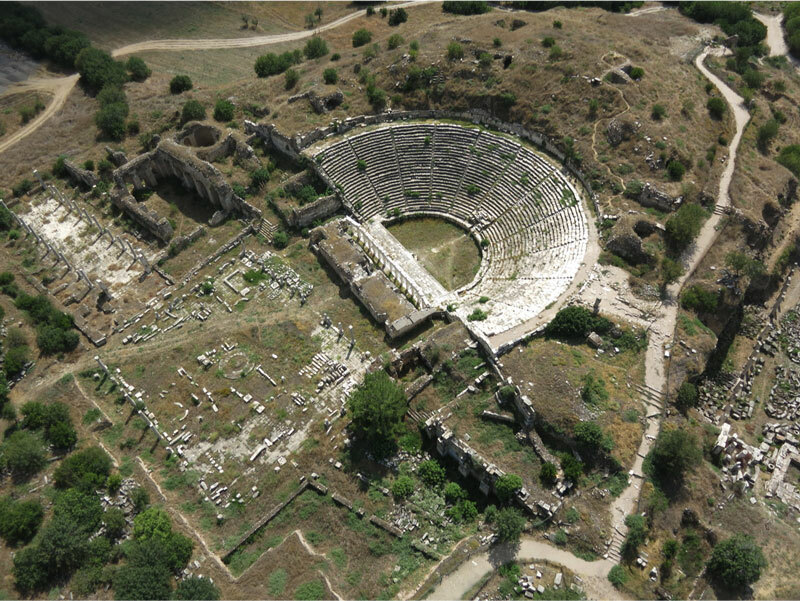 High-resolution aerial images of the theatre in the ancient “City of Aphrodite” (Aphrodisias). The second image, captured in infrared, enables archaeologists to find patterns vis-a-vis the vegetation, which may reveal underlying structures.